Free sanitary products are to be given to girls in primary and secondary schools in Wales. The Welsh government announced the £2.3 million Period Dignity Grant for Schools will be made available with immediate effect to help girls who struggle to afford sanitary products. It means more than 141,000 schoolgirls will receive sanitary products free of charge. 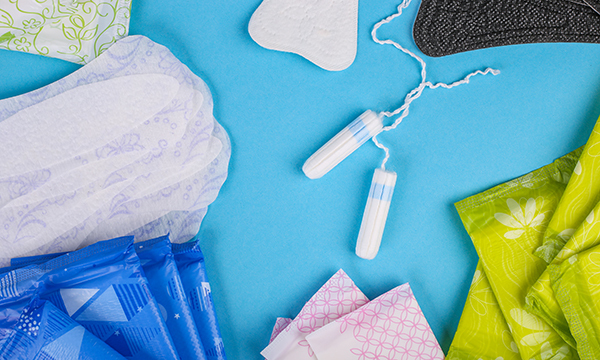 The subject of period poverty is to be debated at this year’s RCN congress. The RCN women’s health forum proposed a resolution calling on the college’s council to lobby UK governments to take action on the issue. The announcement in Wales follows the Scottish government's decision last year to fund the supply of sanitary products to all schools, colleges and universities. A similar scheme is expected to be introduced for English secondary schools from September. In March, NHS England announced the health service would offer free tampons and other sanitary products to every hospital patient who needs them. Wales first minister Mark Drakeford said: ‘We are committed to supporting period dignity and maintaining our investment in schools to help bring period poverty to an end. ‘In March, we declared free sanitary products would be available to all women in Wales' hospitals – it is only just that the same happens across our schools. Schools will be encouraged to support ‘reusable, environmentally sustainable products’. Research from humanitarian organisation Plan International shows 15% of girls in the UK struggle to afford sanitary products, 14% have had to borrow from their friends and almost 20% have had to use a less suitable product for cost reasons.